If the global population reaches 9.6 billion by 2050, the equivalent of almost three planets may be required to provide the natural resources needed to sustain current lifestyles. “Sustainable development is development that meets the needs of the present without compromising the ability of future generations to meet their own needs." Otherwise, growth through economic development comes at the expense of the natural and human environment. The report was concerned with meeting basic needs for all, redistribution of resources for equity, recognising technological change was required in the three core components of sustainable development’s “triple bottom line”: the environment and its protection, the economy and its growth, and society and its equality. It called upon human kind to be more efficient and effective with utilisation of resources, to do more better with less, and to reduce inequality with the utilisation of natural resources. It aimed to create a united international community with shared sustainability goals by identifying worldwide sustainability problems, raising awareness about them, and suggesting the implementation of solutions. This became the foundation for the current framework – the UN 2030 Agenda for Sustainable Development, from which the Sustainable Development Goals arise. This underpins many of the SDGs, such as employment, poverty, food and waste, water, energy, conservation, marine resources, infrastructure, education, equity, well-being and improved life quality. Reporting on SDG 12 needs to show the impact of consumption and production patterns on people's health and how possibilities of attaining well-being by future generations are being safeguarded or threatened by current consumption and production activities. Achieving Goal 12 requires strong international and national frameworks, integrated into national and sectoral plans for sustainable public procurement by governments to as major resource employers, sustainable business practices and consumer behaviour. But whilst organisations are beginning to align sustainability strategies with the Sustainable Development Goals, SDG 12 has shown worsening trends. As developing regions industrialise, their use of raw materials grows. Domestic material consumption per capita (the total amount of natural resources used in economic processes per person) increased in almost all developing regions over this period, due in part to rising natural resource use worldwide, in particular in Eastern Asia. Only in sub-Saharan Africa, where it remained relatively stable, and Oceania, where it decreased from 10.7 to 7.7 metric tons per capita, did it not increase (UN Stats). That said, from 2000 to 2010, the material footprint per GDP of developed regions dropped as a result of greater efficiency in industrial processes. But at 23.6 kilograms per unit of GDP in 2010, it was still substantially higher than the figure for developing regions at 14.5 kilograms per unit of GDP (UN Stats). And as more people globally join the middle class, in particular in large developing countries, changes that are good for individual prosperity will increase demand for already constrained natural resources and materials, likely outpacing efficiency gains in supply chains. The UN’s 10-Year Framework of Programmes on Sustainable Consumption and Production Patterns (10YFP), adopted at the United Nations Conference on Sustainable Development in 2012, asks every country to take action to their best capacity. The aim is to generate collective impact through multi-stakeholder programmes, which develop, replicate best practices and scale up action-oriented initiatives, knowledge sharing through experience, and facilitate access to technical and financial resources for developing countries, building synergies and cooperation. Affluent countries with innovation, infrastructure and development are able and called to lead the way in taking responsibility, helping improve the science and technological base for better technical capabilities to enable more sustainable consumption and production in developing countries. It may mean removing market distortions, such as inefficient, unsustainable use of resources like fossil fuel subsidies, to reflect environmental impacts, whilst taking into account poor and developing communities’ needs and conditions. Implementation of SDG 12 requires tough changes to the major contributors of consumerism and overconsumption, reducing ecological footprints to allow for regeneration of natural resources on which human life and biodiversity can continue to depend. In this way, the effects of a sustainable lifestyle go beyond preserving the earth’s natural resources, but can address unequal consumption in society and help reduce the increasingly widening gap between the rich and poor. Just and equitable ways to meet individual needs and aspirations within the ecological limits of the planet are needed. Tourism can do its part to help. What’s it got to do with tourism? “A tourism sector that adopts sustainable consumption and production (SCP) practices can play a significant role accelerating the global shift towards sustainability”, including by how it can “develop and implement tools to monitor sustainable development impacts for sustainable tourism which creates jobs, promotes local culture and products”. SDG 8 for sustainable economic growth and productive employment also mentions tourism specifically and is inherently linked to Goal 12 in target 8.1, “endeavour to decouple economic growth from environmental degradation” for sustainable consumption and production. Sustainable consumption and production calls on both consumer demand, retail and industry supply to more sustainably manage and efficiently utilise natural resources. It will require essential changes in how the society and our livelihoods operate. Such a large-scale societal transformation is going to take a long time: time we don’t have given the urgent unsustainable use of resources. Immediate action for such magnitude is urgent. Sustainable tourism places the eradication of poverty at the heart of its activities, in particular through the creation of livelihoods through sustainable tourism. The UN 10-Year Framework of Programmes on Sustainable Consumption and Production Patterns has a specific Sustainable Tourism Programme (STP) aimed at developing such practices, led by the World Tourism Organization (UNWTO). The collaborative platform aims to bring together existing initiatives and partnerships and facilitate new activities to accelerate the shift towards sustainable consumption and production. Projects include labelling, criteria and standards systems for sustainable destination designations, water, climate change, energy, waste, food waste, protected areas, technical tools development, guidelines and training in sustainable tourism. Earth Changers was delighted to be accepted by The UN World Tourism Organisation as a solution to sustainable tourism for development. Many of Earth Changers' partners developed their buildings right from construction with sustainability at core, incorporating the reduction of emissions that cause climate change and the strengthening of resilience. The banda bungalows at Chumbe Island Coral Park, are designed for optimal outside rainwater catchment, captured by a cistern underneath the bungalow for showers in the downstairs bathroom. The composting toilets have zero sewage and no flush as water is too sparse. Solar panels, unobtrusive on the top of the roof, provide charge for battery storage for energy requirements, including hot water heating. And with the front façade of the bandas lowerable, there’s no need for air-con! Lapa Rios’ bungalows and shared areas are all designed in harmony with surrounding forest and beaches, to honour place, using local and renewable materials such as bamboo, wood and local vines, with a ceiling fan and screened open-air requiring no air conditioning but enabling the experience of the sounds, sights and smells of the rainforest and the ocean. At Nikoi Island, the villas are designed to encourage air-flow with master bedrooms raised off the ground and vaulted ceilings, so as to avoid air conditioning and minimise energy consumption and noise pollution. Water filtering, treating and pressurising accounts for around 30% total energy use, so simple measures are employed like highly efficient shower heads reduce water consumption by 20%, and reject water from the desalination unit tops up the salt water swimming pool, reducing the need not only for fresh water but also imported salt. Campi ya Kanzi, was built to make ensure the lowest impact on the environment. Renewable energies are used and the camp is completely self-sufficient with water from rain, including in the Kanzi House swimming pool. 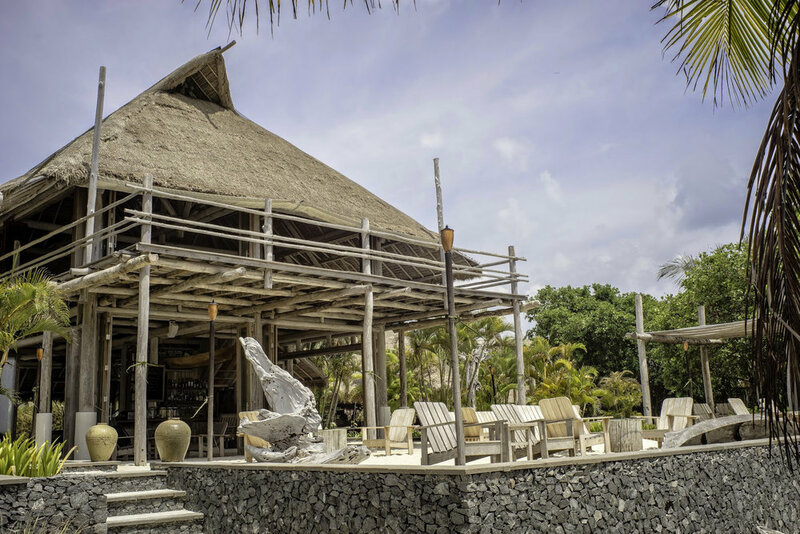 All materials used are sustainable, natural and collected locally, such as thatched roofs, lava rock, wood for building and furniture and African raffia linens, and landscaping or tree felling is avoided. At Tiger Mountain Pokhara Lodge rendered exteriors are traditionally plastered with a mud and cow dung mixture. All exterior wood is maintained with a natural turpentine and mustard oil mix, furniture is protected using traditional chopra and walls are painted with traditional red emulsion consisting of all natural ingredients. Environmentally sound management of chemicals and all wastes going in to the air, water and soil is required in order to minimize adverse impacts on human health and the environment. Whilst most UN member states are party to at least one of 6 conventions on hazardous waste management, meaning obligations such as submitting national progress, reporting has been declining since 2010. Man is polluting water faster than nature can recycle and purify water in rivers and lakes: More than 1 billion people still do not have access to fresh water; whilst free from nature, expensive infrastructure is needed to develop it. A 32% increase in vehicle ownership, 40% increase in motor vehicle kilometres and 300% increase in global air travel is expected by 2020. Households consume 29% of global energy and contribute to 21% of resultant CO2 emissions. Energy use in OECD countries will grow another 35 per cent by 2020. Commercial and residential energy use is the second most rapidly growing area of global energy use after transport. 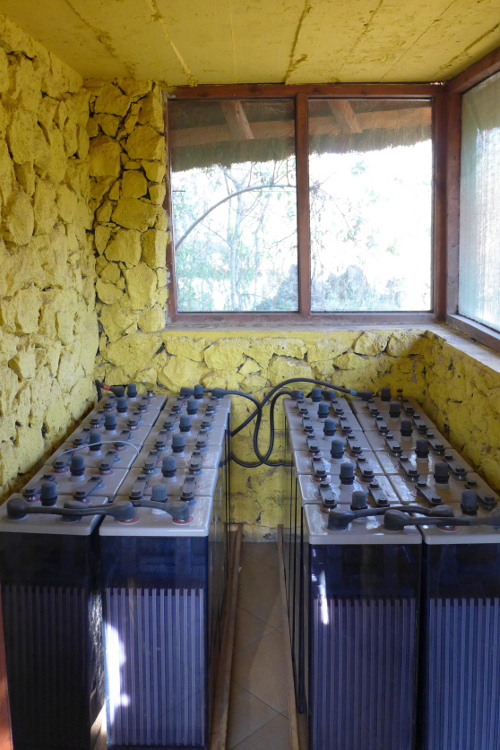 Earth Changers partners are incredibly conscious and implement many sustainable energy initiatives. Most Earth Changers’ partners, like Lapa Rios and Tiger Mountain, are also very conscious of the use of chemical toiletries in their fragile environments and ask that you use organic, locally-made products provided. At Tiger Mountain, this extends to the gardens too, where only compost, animal manure, and organic fertilisers are used. At Chumbe Island, imported materials are carefully screened to avoid any non-indigenous elements polluting the spectacularly preserved environment. Laundry is washed off the island. The purchase of non-biodegradable products is avoided and non-biodegradable waste removed from the island and, where possible, recycled. Substantial environmental impacts from food occur in the production phase (agriculture, food processing), then households influence these impacts through their dietary choices and habits. This consequently affects the environment through food-related energy consumption and waste generation. At Nikoi Island, the menu is fixed to reduce food waste and focus on seasonality – homemade, naturally organic, complying to guidelines, such as WWF sustainable seafood. Any food waste is composted where possible. At Lapa Rios and Jicaro Island Ecolodge, the ‘Twigs, Pigs and Garbage’ sustainability tour sees how any food waste goes to the pigs, creating methane used to fuel the staff kitchen stove! At Chumbe Island, non-cooked fruit and vegetable waste is collected, composted and used for the composting toilets on the island. Land degradation, declining soil fertility, unsustainable water use, overfishing and marine environment degradation are all lessening the ability of the natural resource base to supply food - almost 1 billion people go undernourished and another 1 billion hungry. Yet an estimated one third of all food produced – equivalent to 1.3 billion tonnes worth around $1 trillion – ends up wasted every year in bins of consumers, retailers, or spoilt due to poor transportation and harvesting practices. In addition, over consumption of food is not only detrimental to the environment but also our health. Reducing food losses could have an effect on reducing global food prices, benefiting the poor, which must subsequently be aligned with increased sustainable consumption. Sustainable food systems are critical to improving food security, nutrition and wellness and to poverty alleviation. Tourism organisations can implement practices for prevention, reduction, recycling and reuse. 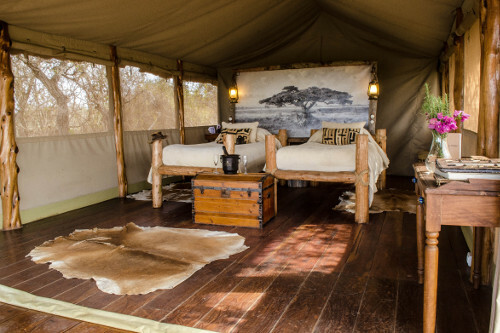 At Campi ya Kanzi, visitors are issued with re-usable water bottles to be used during game drives and to take-away as souvenirs; waste tyres given to the Maasai community to re-use as water troughs for cattle; tetra packs re-used to grow tree seedlings and glass bottles re-used to serve drinking water in guest tents. Non-recyclables go in an incinerator specially-built on a UN recommendation to minimize impact. At Nikoi Island, everything is recycled, reused or upcycled. Second hand machinery is used if possible rather than new bought unnecessarily. The villas were all constructed solely from sustainably sourced driftwood, some into furniture which was all made on site, unfinished wherever practical or with natural oils and waxes. All recyclable waste is sent to Bintan island where it is sold/given to local collectors, but as only a limited glass recycling program exists there, Nikoi have installed a glass pulveriser to process glass bottles to make glass sand then used in cement. Some things just aren’t needed or supplied – such as plastic straws or drinks in plastic bottles– instead handmade bamboo straws and own-made carbonated water and natural organic syrups and are offered. Sustainable sourcing is an important aspect of sustainable tourism, helping to create jobs and promote local culture and products. It is also vital that sustainable tourism organisations monitor their impacts – without which, they cannot measure and improve (a prerequisite for Earth Changers’ partners, given our positive impact purpose). At Chumbe Island Coral Park, local people have been offered income opportunities through the construction and maintenance of the ecolodge, food supplies, the out-sourcing of transport operations and handicrafts sold in the boutique. At Nikoi Island, many of the goods and souvenirs in the shop are locally made from recycled products, such as flip flops made from car tyres and bags made from recycled rice sacks. Campi ya Kanzi created its boutique Maasai showroom selling locally made handicrafts to support continuation of cultural beading, later augmented with more Kenyan jewellery, clothing, books, bags and other handmade arts and crafts, bought locally at fair prices. Campi ya Kanzi also measure and monitor energy consumption and carbon emissions monthly, with sub-meters in all guest rooms. All guests charged a nominal fee for carbon generated during their stay with the limited emissions offset in the MWCT REDD+ Chyulu Carbon Project: Carbon footprint zero is achieved. It is in the interest of business to find new solutions, and hotspots in the supply chain where interventions can have the greatest impacts. A better understanding of environmental and social impacts of products and services is needed, both of product life cycles and their lifestyle use. Businesses can integrate this learned information into their reporting cycle and so help teach others. At Campi ya Kanzi, guests are briefed on energy and water consumption and conservation upon arrival; visual signage acts as reminders in strategic areas. Likewise at Tiger Mountain Pokhara Lodge, through the welcome briefing and the room information pack, guests are advised on minimising fuel, water, waste, chemical consumption and encouraged to give feedback. Both Lapa Rios and Jicaro Island Ecolodge take great pride in transparently showing guests the ‘back of the house’ systems and operations to demonstrate and teach about their sustainability, with suggestions how guests’ own ways of living could be enhanced. Through sustainable lifestyles and education, sustainable practices in daily life help to minimize the negative impact of environmental change for the most vulnerable and contribute to the creation of new income opportunities and of more diversified and sustainable livelihoods. At Earth Changers, this is one of our aims for sustainable development through tourism. We hope we educate. Please connect on our social channels too to share and help others learn too! Goal 1 - End Poverty: Sustainable consumption and production will help alleviation. Goal 2 - Zero hunger: Sustainable consumption and production will help provide food where required. Goal 3 - Health & Well-Being: Sustainable consumption and production will help provide nutrition and eliminate toxic pollutants. Goal 4 - Quality education: Sustainable consumption and production requires education for understanding and implementation. Goal 6 - Access to clean water and sanitation requires sustainable consumption and production for effective natural resource management. Goal 7 - Affordable, reliable, sustainable and modern energy is required for sustainable consumption and production. Goal 8 - Economic growth & productive employment is required for sustainable consumption and production. Goal 9 - Without sustainable infrastructure, industrialization and innovation, sustainable consumption and production cannot develop. Goal 10 - A prerequsite for global equality is sustainable consumption and production. Goal 11 - Sustainable cities are required, where sustainable consumption and production will largely occur. Goal 13 - Climate change – adverse weather patterns can have a huge impact on sustainable consumption and production opportunities. Goal 14 - Marine environment conservation is required to support the natural resource base and sustainable consumption and production. Goal 15 - Life on Land - is required for the sustainability of the earth's natural resources, and sustainable consumption and production. Goal 17 - Partnerships - an ecosystem of support is required for sustainable consumption and production.